At Rapport International, we have the manufacturing translation and interpretation services you need to communicate with your team and clients effectively. From user manuals and packaging, to patents and service agreements, our linguists specialize in manufacturing terminology, and understand the importance of accuracy to avoid operational and legal liability issues. We make sure you communicate clearly to keep everything running smoothly. You need accurate and detailed translations. 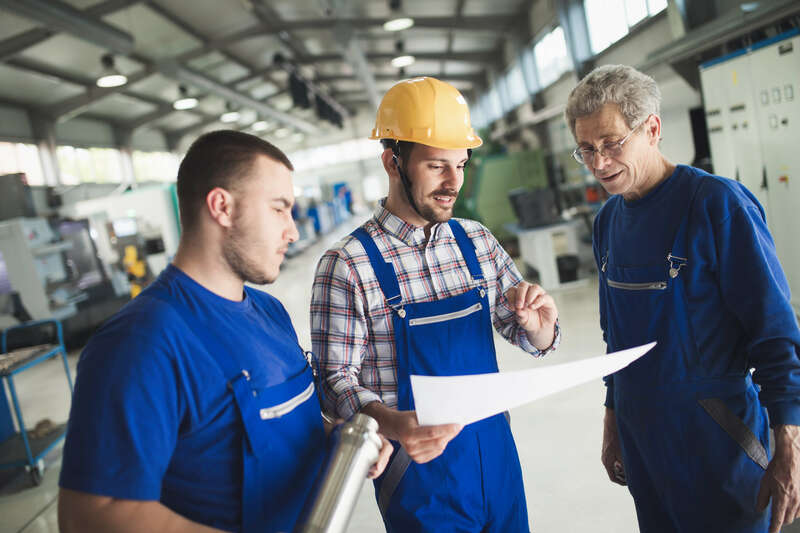 We know the ins and outs of communications for manufacturing businesses – whether it’s manuals for workers and engineers or instructions for the end consumer, our skilled linguists provide quality translations and interpretations each and every time. 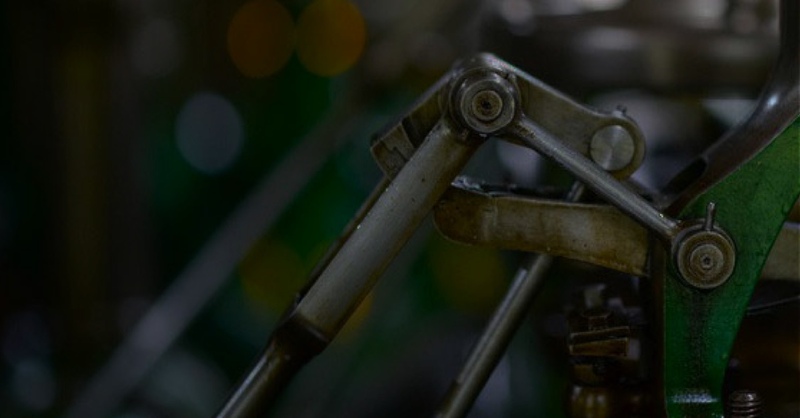 Want to dive into specific multilingual manufacturing services? Rapport International makes sure that the translators and interpreters you work with understand specific local or global needs so that your materials and communications are accurate. At the same time, we serve as advisors on cultural questions to make sure you are communicating in a culturally-sensitive manner. Your translated materials need to speak to the target market. Whether you are translating a user manual or product specifications, not all materials are created for the same audience – a consumer expects a different document than a technical engineer. Rest assured, the linguist Rapport International assigns to your project will write in the appropriate voice for your intended reader. Just as it is important to keep the target audience in mind, it’s just as important to make sure the right translator is working on the project. Rapport International will never assign a technical translator to work on a marketing catalog and vice versa. Our linguists are technically precise, and along with being educated in your subject matter, they also have real-world experience. You need to be confident that your translation will be accurate and correct. Here at Rapport International, we never make assumptions. We make sure we capture the meaning of the document every time by training our linguists to clarify questions up front, so mistakes are avoided. Sometimes a translation is so technical, there isn’t a word for the item or process in the target language. When this happens, there are several choices, and we always discuss them with you before moving forward. Layout and formatting is an essential part of any manufacturing translation. We work within your documents and lay them out for you in the format you want. We review with you what is important to translate and what isn’t, and recommend reusing materials across multiple formats when possible to save time and money. Learn more about translation services. 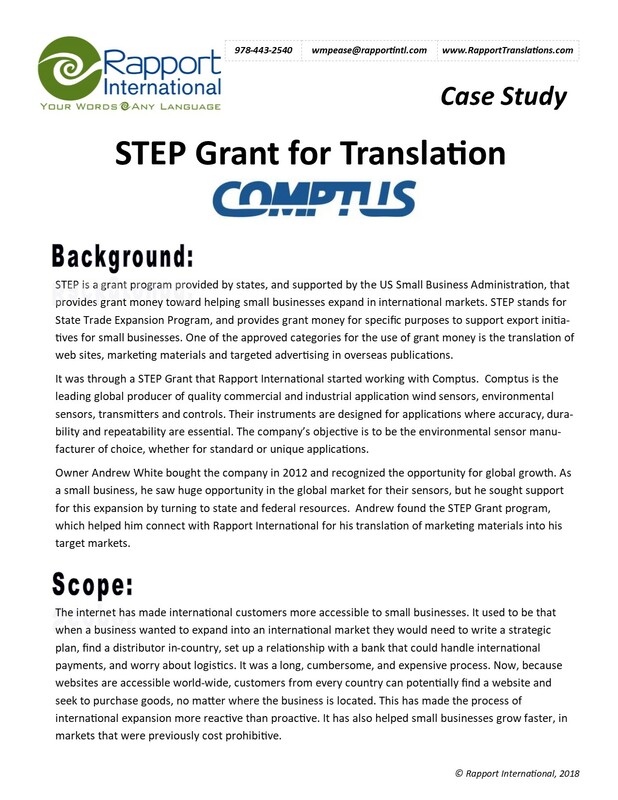 Learn how Comptus grew into international markets and increased sales worldwide. "By providing our advertising and print materials in a number of languages, we have seen our products explode internationally. Rapport knows how to make a product applicable and appealing in all languages and cultures." We got your back. You're important to us and we'll make sure every quote is timely and correct the first time around.